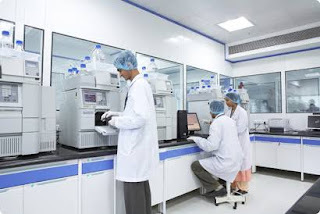 Established in 1985, Inventia Healthcare Ltd. (formerly Themis Laboratories Ltd.) today stands as an innovative drug delivery company in India, now present across various markets through its partners. Inventia offers a full range of oral delivery technologies. Our state-of-the-art research and development centre at Thane, which is approved by the Ministry of Science and Technology, Government of India, is equipped to undertake formulation development projects on oral NDDS. We also have a world-class oral solid dosage form manufacturing facility for tablets, capsules, DC granules and pellets approvable by regulatory authorities of developed countries. Currently a fast growing player in the Novel Drug Delivery System (NDDS) space in India, Inventia's strength lies in its ability to provide tailored solutions that fulfil specific needs of our customers. With a client base of over 50 leading domestic and international pharmaceutical companies and proven record of registering high growth over recent years, Inventia’s performance speaks volumes about its proven capabilities in NDDS segment. We are now a CRISIL ‘BBB+/Stable’ rated organization.